Quinter’s father was polygamous, and her mother was his second wife. After he died of AIDS, his first wife was the primary recipient of his property and belongings. As Quinter’s mother was only a second wife, she was left with little means of supporting herself and her child. Because of their poverty, Quinter was brought to the home in March of 2007. Quinter is a playful yet forgetful girl who loves banana plant flowers. She wants to become a farmer when she grows up so she can help her mother grow food. Please take a moment today to pray for Quinter and that God will pour out His blessing upon her life. 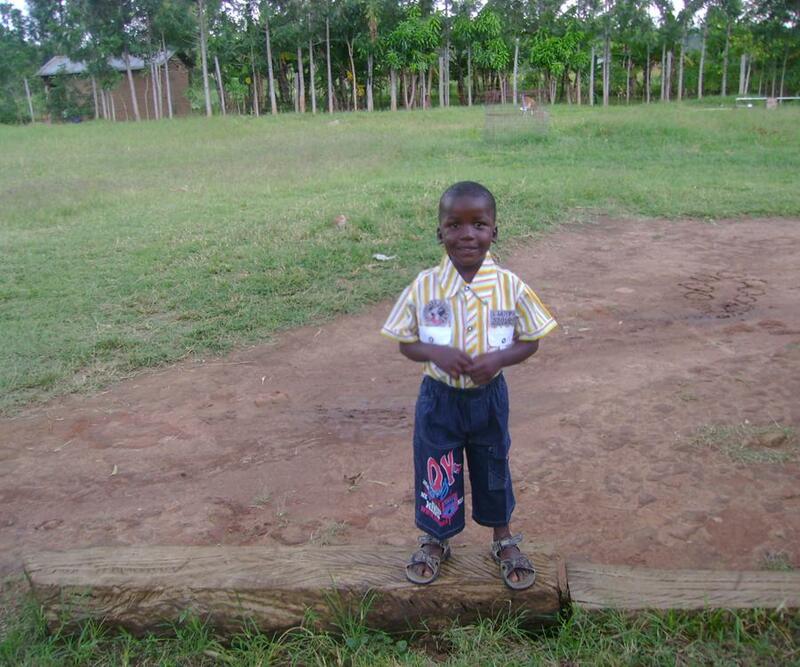 When Bryan’s mother became pregnant with him, she was unmarried and still in school. After weaning Bryan, she left him with her poverty-stricken parents. Her current location is unknown. Although Bryan’s grandparents were kind to him, they often ate just one meal per day due to poverty. Because they were not caring for him properly, Bryanwas brought to the home in August of 2005. Bryan is a quiet boy who is known for always being happy. He is a bright student and would like to become a math teacher when he is older. Please take a moment today to pray for Bryan and that God will pour out His blessing upon his life. When Steven was a year old, his father died of alcohol poisoning. His mother passed away four years later due to AIDS. After his mother’s death, Steven was taken in by distant relatives. 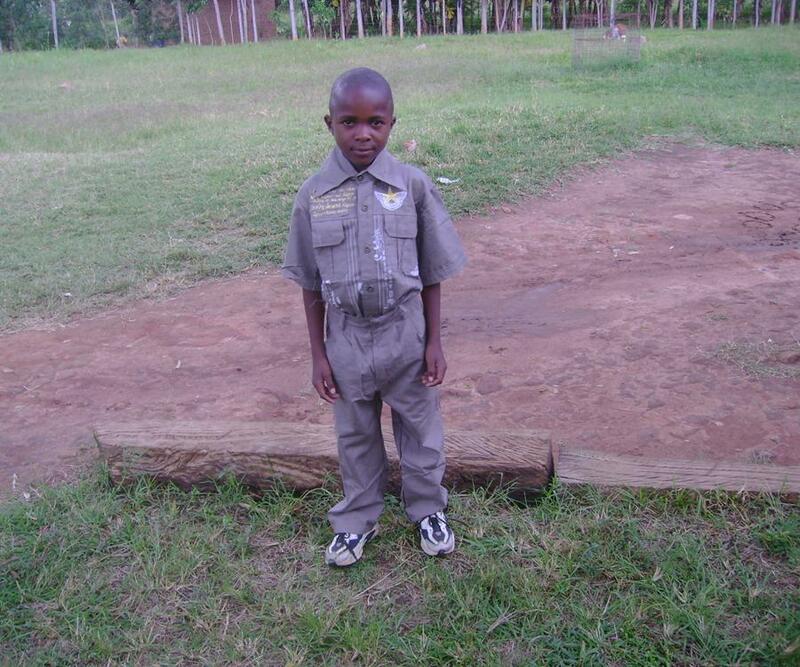 Because they were poor and unable to care for his basic needs, Steven was brought to the home in July of 2005. 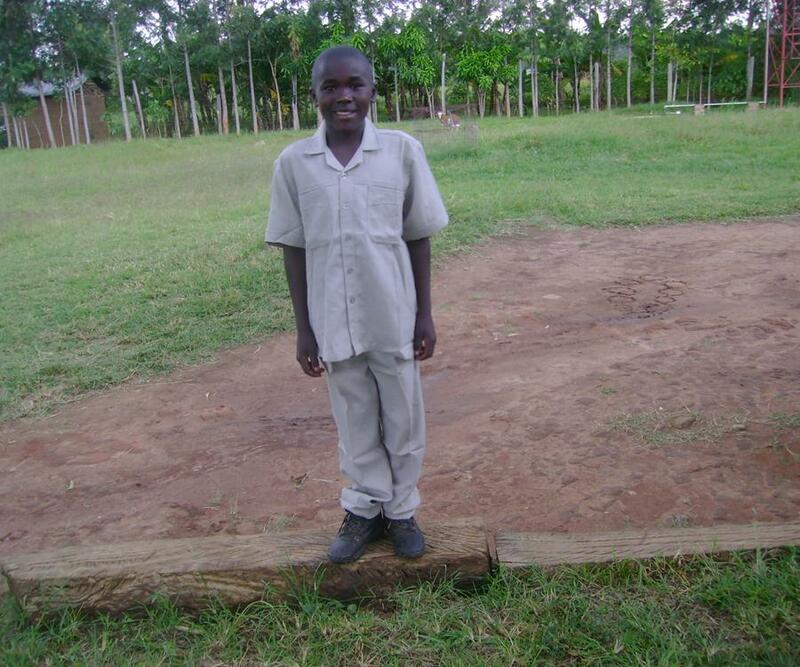 He is an honest, hardworking boy who loves playing soccer with the other children. 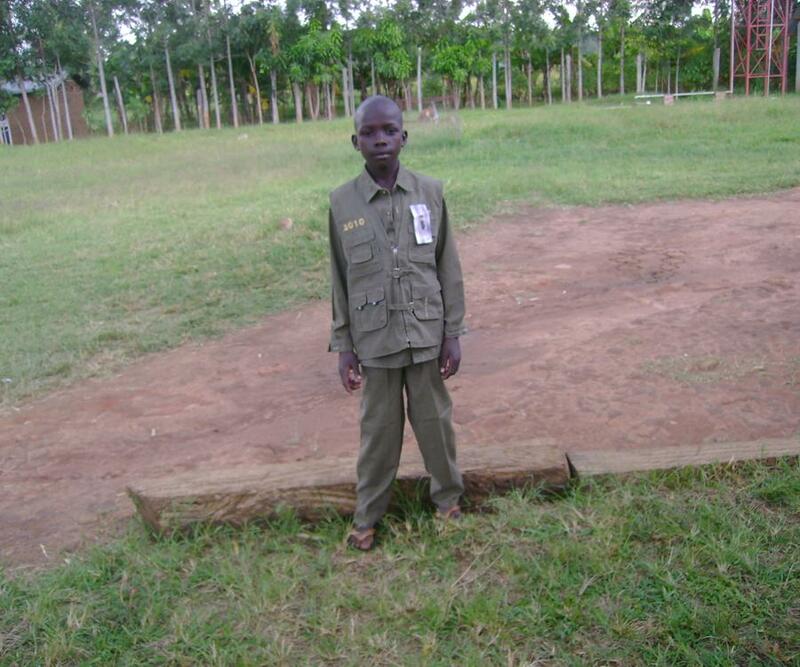 Steven enjoys his Religious Studies classes and would like to become a District Commissioner when he finishes school. Please take a moment today to pray for Steven and that God will pour out His blessing upon his life. At the time of Reinster’s birth, her mother was single. Her mother later married a man who, due to his cultural beliefs, refused to accept Reinster as his daughter. Because Reinster was of another clan, she was considered to be taboo by her stepfather’s clan members. After he and his clan members attempted to kill Reinster, her mother brought her to the home. She has been at the home since March of 2007 and is an excellent student. 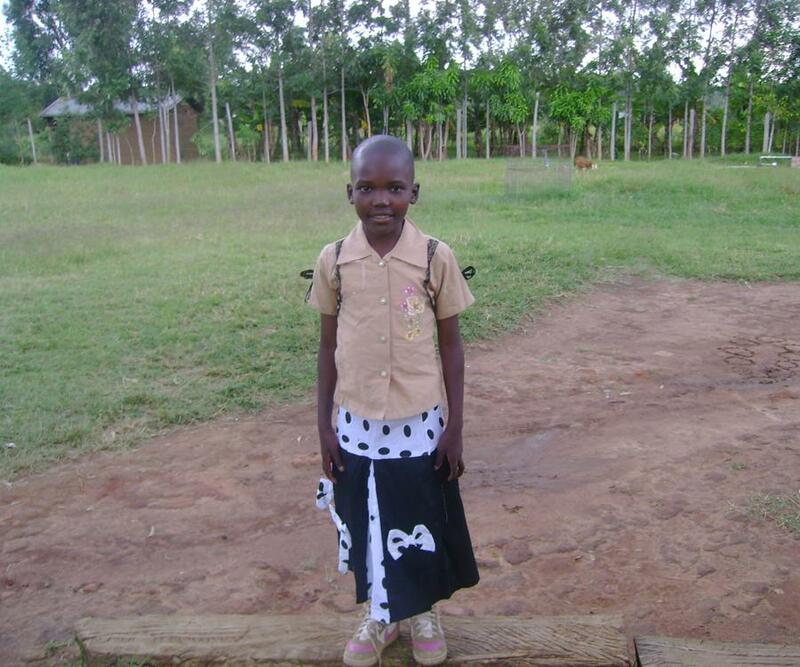 She enjoys learning English and playing ball with the other children. Reinster would like to teach Christian education when she grows up. 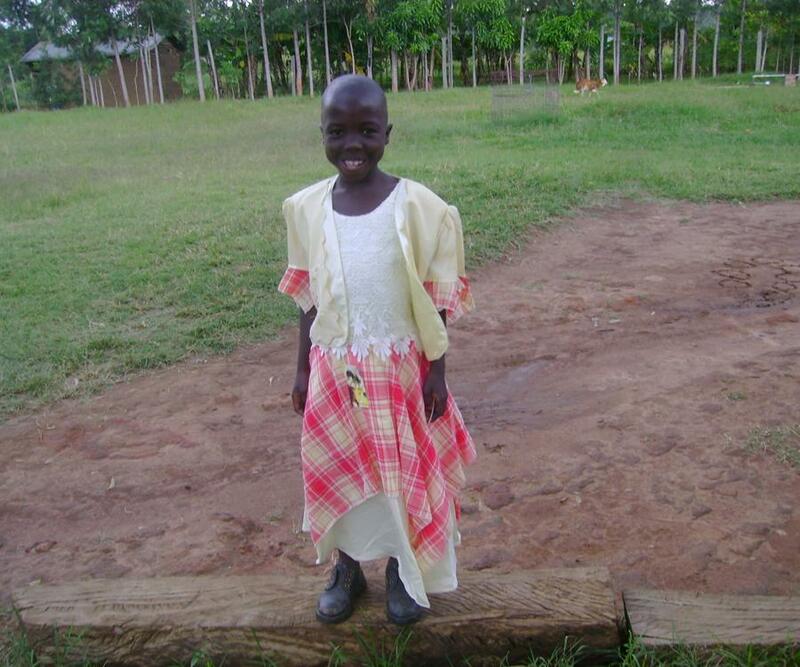 Please take a moment today to pray for Reinster and that God will pour out His blessing upon her life. Both of Fleria’s parents died of AIDS when she was seven months old. After their deaths, she was taken in by an elderly relative who took pity on her. This elderly woman was unable to provide for Fleria’s basic needs due to poverty, so Fleria was brought to the home in July of 2005. She is a talkative and friendly girl who has many playmates among the children at the home. 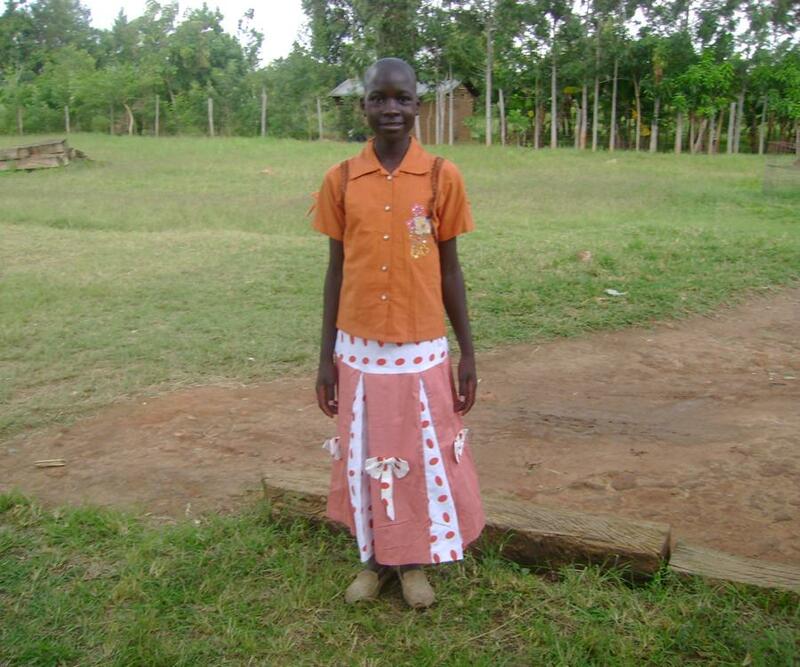 Fleria enjoys learning English in school and would like to become a teacher someday. Please take a moment today to pray for Fleria and that God will pour out His blessing upon her life. At the time of Elvis’ birth, his mother was single. His mother later married another man who did not want to care for someone else’s child. Because his stepfather refused to care for him, Elvis was left in the care of his maternal grandmother. As his grandmother was poor, she was unable to provide for Elvis in addition to her other dependant grandchildren. Elvis was brought to the home in March of 2007. He is a quiet boy who studies hard in school. Elvis’ favourite food is rice and he would like to be a driver when he grows up. 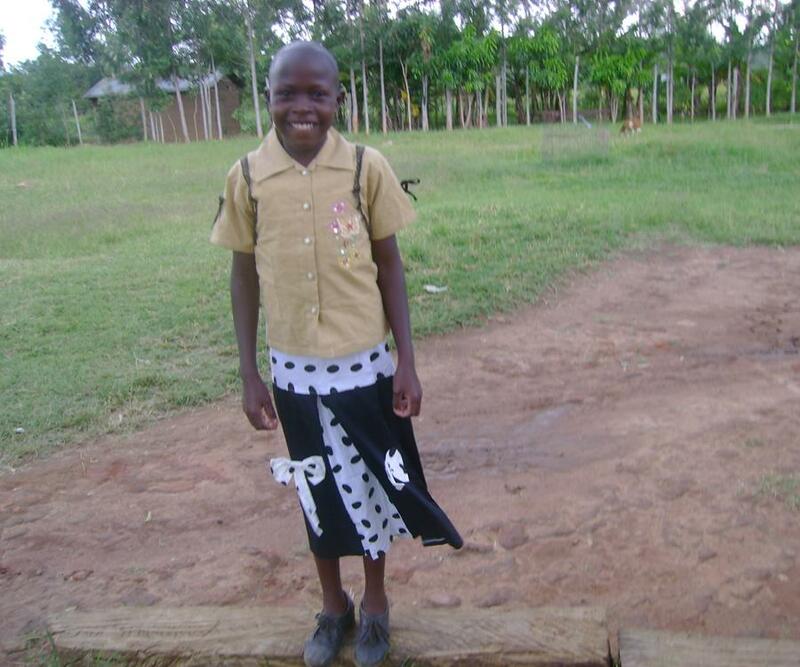 Please take a moment today to pray for Elvis and that God will pour out His blessing upon her life. Lydia’s father died of AIDS when she was two years old. The man whom her mother remarried did not want another man’s child in his home, so Lydia was left with her grandparents. Although her grandparents were caring, their other grandchildren were unkind to Lydia and made life hard for her. 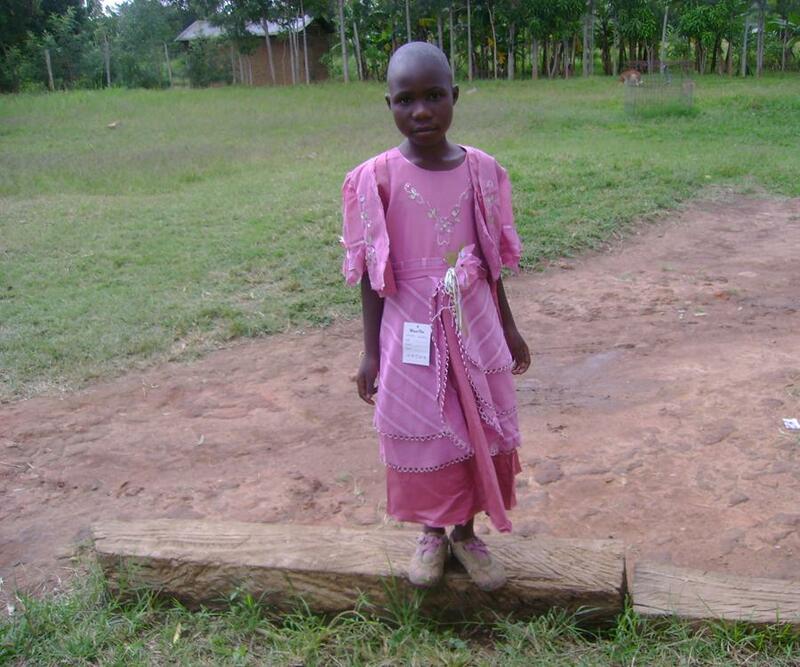 Food was scarce as they were a poor family, so Lydia was brought to the home in July of 2005. She is a friendly girl who likes playing soccer and helping out in the kitchen. 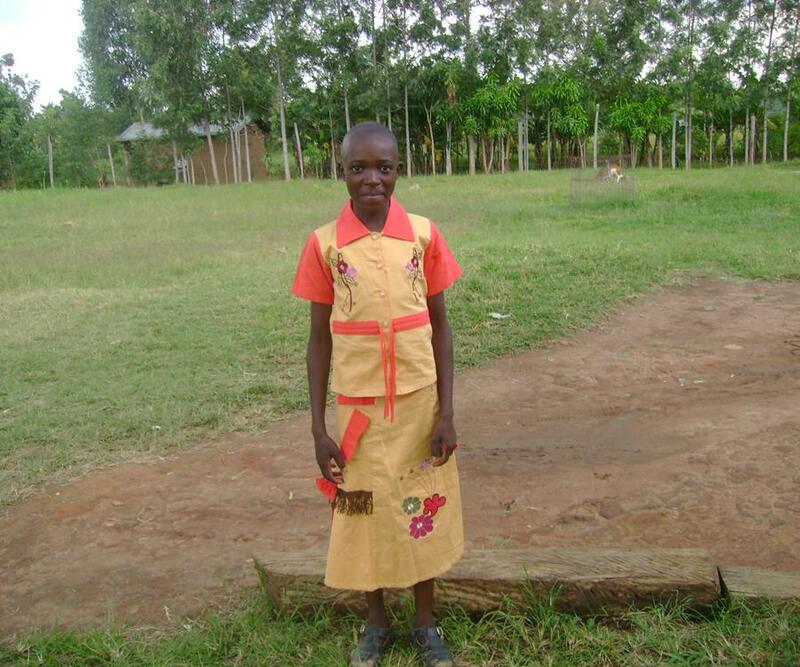 Lydia enjoys her science classes in school and wants to be a doctor someday. When Timothy was a baby, he was found abandoned in a bush near a trading center in Kibabi. The shopkeeper who found him brought Timothy to a local police station, who then gave him to the District Children’s Officer. As they were unable to locate the boy’s mother, the District Children’s Officer asked Siritanyi Children’s Home to take him in. He has been at the home since he was nine days old, and is their youngest child. Although he tends to be shy around strangers, Timothy is very friendly to those he lives with. He is a happy little boy and loves eating porridge. Please take a moment today to pray for Timothy and that God will pour out His blessing upon his life.